Dreaming about holidaying to a picturesque Italian town that is full of good wine and food, plus has incredible views like this? Look no further than the Tuscany region and the beautiful town of Radda. The town was originally built as a fortified town, some of Radda’s original city walls and towers are still intact. It’s architecture isn’t the main attraction its primary claim to fame is as a wine destination. With that there are a variety of wine bars, wine-centric restaurants and numerous well-known wineries in the surrounding countryside. 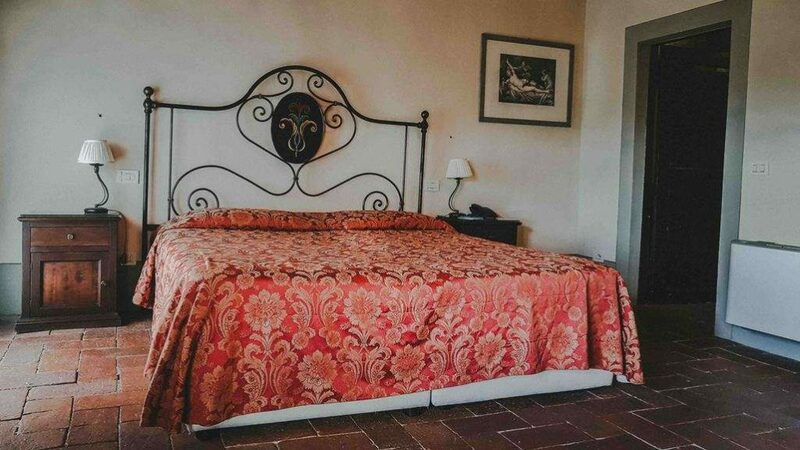 So you can imagine it’s the perfect place to base yourself in Tuscany, it’s close to restaurants, surrounded by good wine and a drive away from major sites. 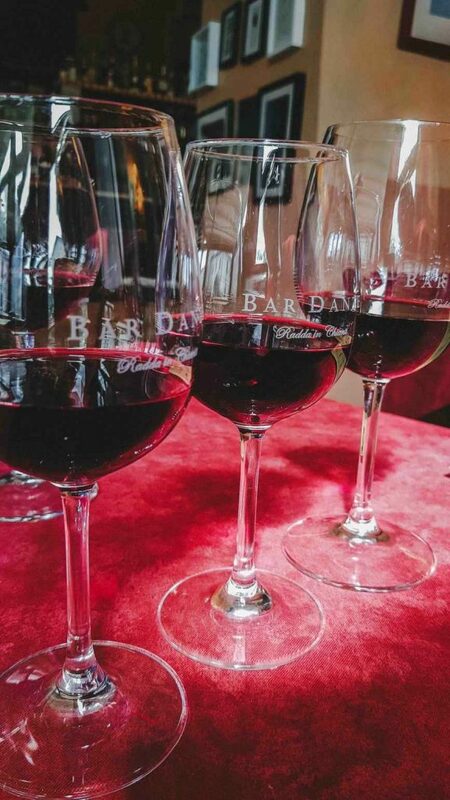 With an introduction like that you can guess that most of your time in Radda is spent drinking the fantastic wine, wandering the vineyards, eating and a day exploring the nearby towns. Here are 8 things to do in Radda, technically it’s 10 as point 8 is two day trips to neighbouring towns. 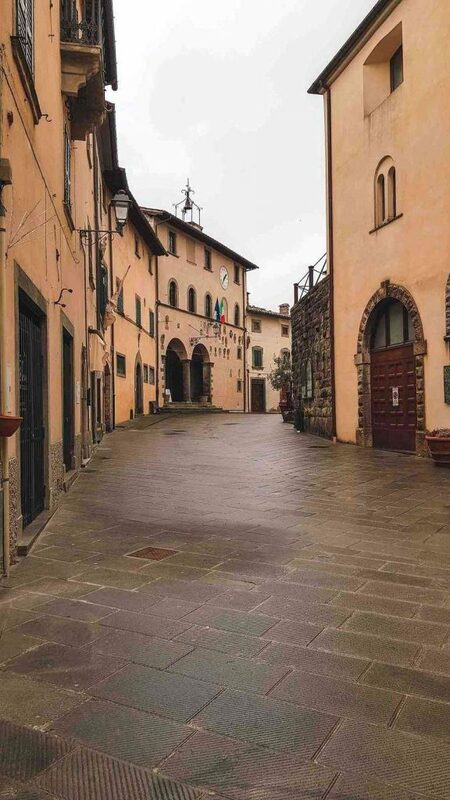 Radda was one of the towns in the Chianti region built as a fortified town to protect Florence from their “enemies”. The town had a few hiccups along the way and was completely destroyed in the invasion of 1478. Not to fear, the town was rebuilt (otherwise we wouldn’t be here)! So take a wander around the cobblestone streets and explore the history of Radda, discover the hidden and the city walls surround the town. 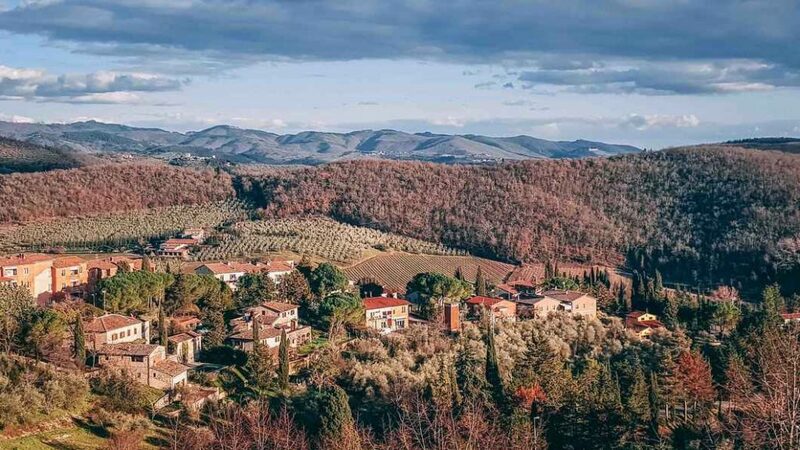 Of course, wine lovers will have a great time during a Tuscany break, as outside the town the vineyards stretch for miles and the local shops all stock a good supply of famous Chianti wines. I made a massive assumption when I was planning to visit the wineries that they would be open! You need to book with the local wineries to try their wine, especially during low season. We surprised this Italian lady when knocking on her cellar door, she really didn’t expect tourists to be wandering around wanting to try wine. To find out what wineries are in the area skip to the next section. Over 700 hundred years ago a wine brotherhood formed called Lega del Chianti. They were there to protect the Chianti region and improving agriculture, in particular, wine growing and making. Basically, they are the reason we have commercialised wine from the area. 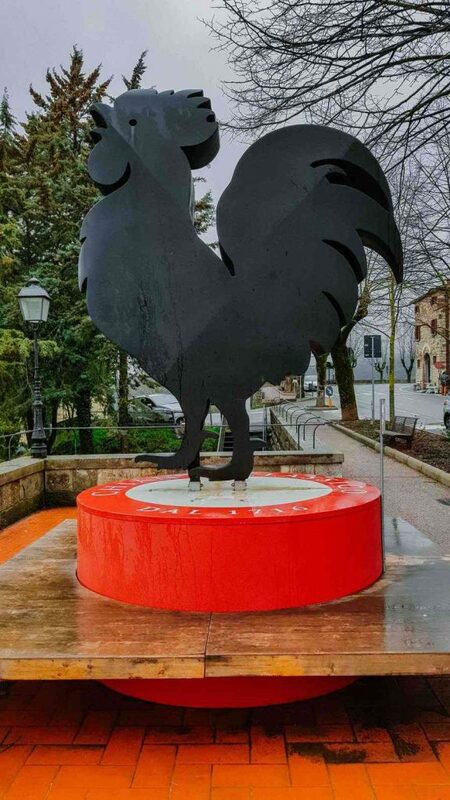 The famous rooster on the Chianti classic wines used to distinguish the wine from the area actually comes from the middle ages when Chianti has a “black rooster against a golden background” as its emblem symbolizing the close relation to the land. 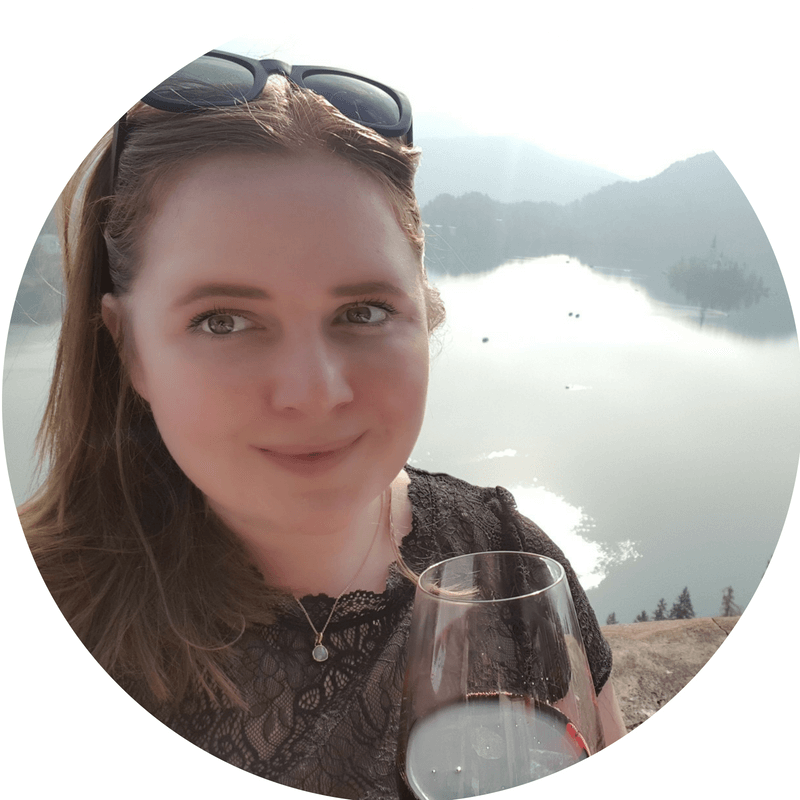 I wish there was a wine walking tour in the region that covers the history as it sounds absolutely fascinating, however, there isn’t so this would be a self-learning activity. Or ask one of the locals/ winemakers to tell you about the region and the wine! Slightly further out in Greve there is a Wine Academy. They offer several tastings and tour options. The Lords of Tuscany wine tasting will teach you about the history of Tuscany while guiding you through a tasting of some of its great wines. 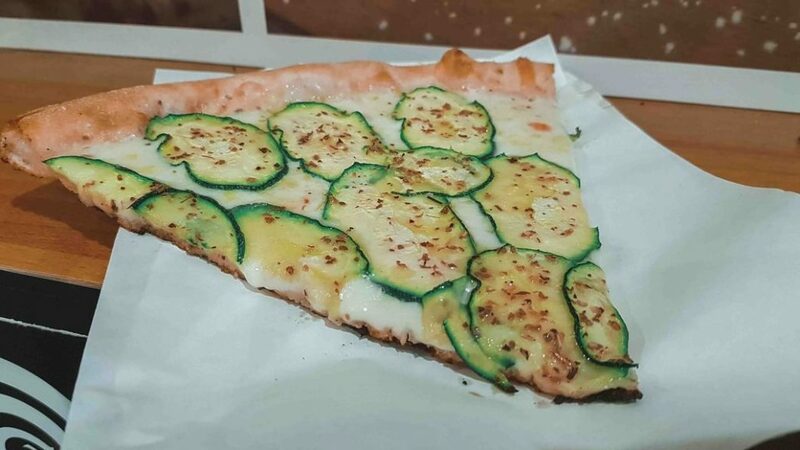 Naturally in Italy you need to eat all the delicious Italian food. 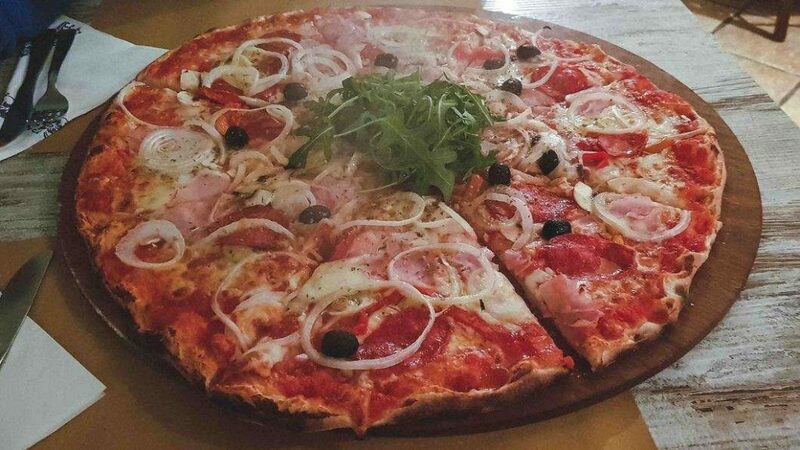 From casual trattoria (less formal than a restaurant, generally with no menus and wine served from a decanter) to restaurants offering a range of food from traditional dishes, cheese and wine pairings to pizzerias. I’ve listed all the restaurants we visited in Radda below. We were introduced to dipping cantuccini with Vin Santo (Biscotti di Prato) in Radda. This dessert is one of the more famous desserts from Tuscany. Either pick up the combination in one of the local stores or order at one of the restaurants (it’s a popular item on the menu). Simply dip the cantuccini in the wine. As the biscuits are quite hard the wine dipping softens the biscuit a little before eating. It’s the most amazing biscuit and food combination ever! Replace my coffee and biscuits with this any day! What is Vin Santo? It is a sweet dessert wine and golden yellow in colour. The wine is made from dried malvasia and trebbiano grapes from Tuscany that is aged in barrels for over three years. What is Cantuccini? It is a twice baked almond biscuits. The Chianti region is an area Tuscany that stretches between Florence and Siena. Have you seen the gorgeous photos around of Tuscany? If not, here is just a perfect example of how stunning the area is…. Find a spot where you can enjoy the endless views of vineyards, olive groves, the magical sunsets and just the scenery in general. A bonus if you find a balcony where you can have a glass of the locally produced wine! Browse the boutique shops for traditional gifts and souvenirs, find locally made crafts and goods, and stock up on quality olive oils and wines. 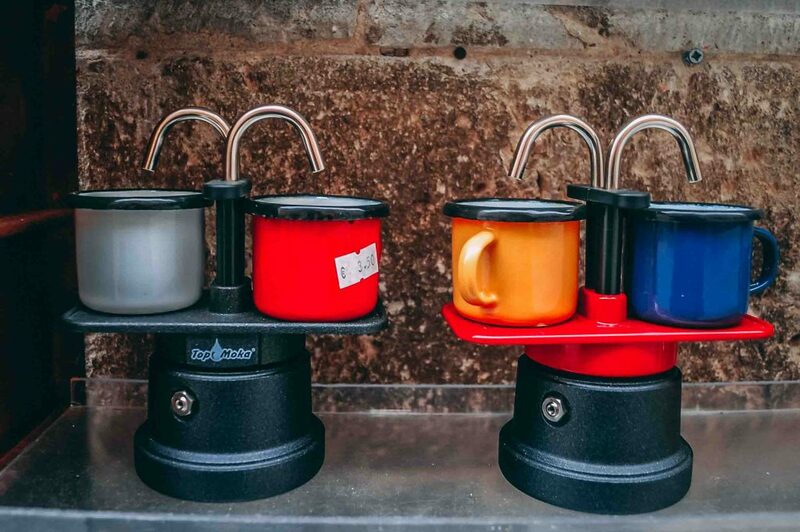 Buying souvenirs is not something I normally recommend but I love boutique shops especially ones that are selling kitchen gear! All the shops here are run by the locals so you will be supporting them as well. The two choices I would recommend visiting on a day trip is San Gimignano and Sienna. The towns are roughly an hour’s drive from Radda. The towns are hot spots for tourists so if you want to avoid crowds of tourist buses and vendors fighting for your dollar then head early or later in the day to get the full charm of the towns. Located up in the Tuscan hill side you will discover a visually striking and perfectly preserved walled town of San Gimignano. An iconic feature of the town is the 14 towers which once used to be 72. 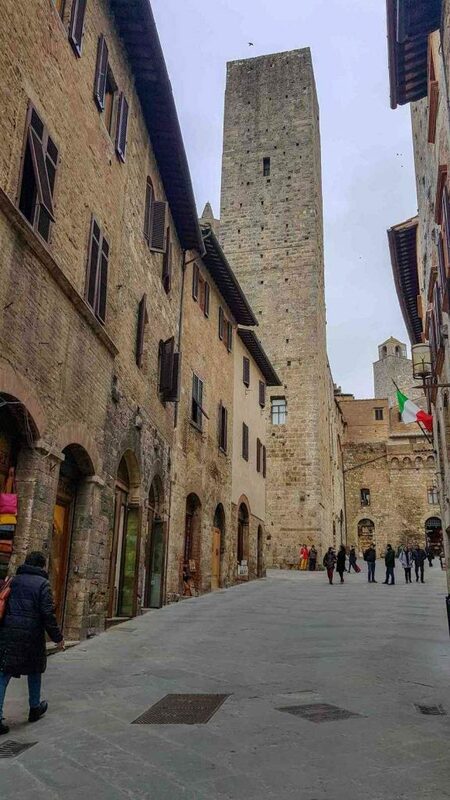 The locals used to have competitions on who could build the tallest towers until the Florentines decided to knock them down (except for San Gimignano lucky 14 towers). 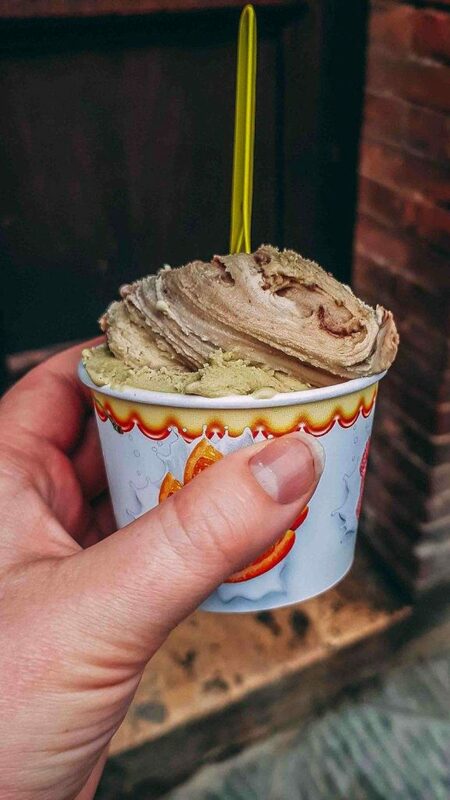 At the centre of town is Pizza della Cisterna, a lively square filled with history, rustic façade and most importantly the best ice-cream is located in the square! Gelateria Dondoli. Make sure you grab some gelato here as it’s amazing then perch somewhere and people watch. 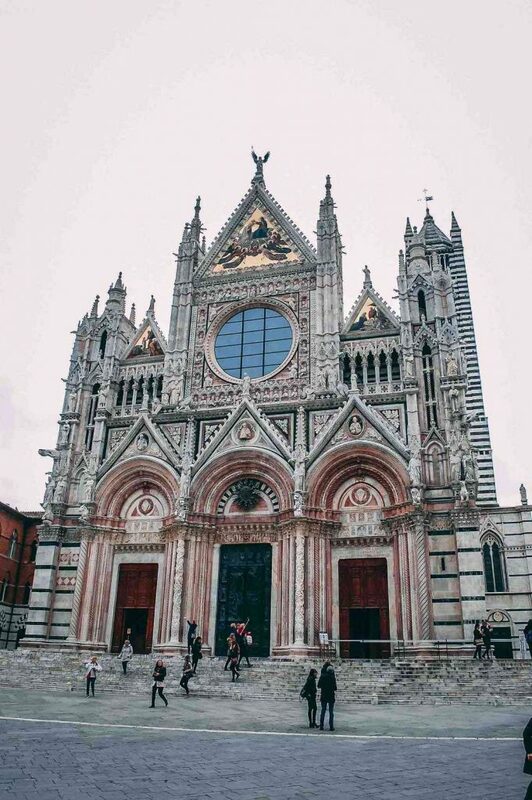 Wander to the Piazza del Duomo where the Romanesque cathedral stands. You’ll find Sienese Gothic art from the 14th century. Admire the pair of towers nearby that have stood by each other for more than 700 years. The towers were built by the Salvucci family as vanity towers to show off. Get a bird eyes view of the city by heading to the newer City Hall, at 200 feet it is the tallest tower in the town. In side the City Hall there is a museum that documents how people dressed, lived, worked and warred in the 14th century. Located slightly south of Florence is the wonderful Tuscan city Siena. Immerse yourself in the Gothic wonders of the city, dramatic architecture and one of world’s most unique piazza. 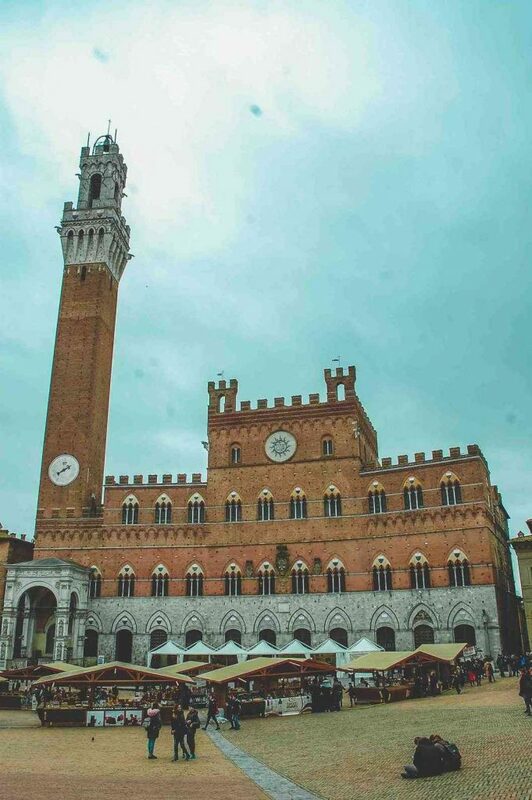 At the heart of Siena is the Piazza del Campo and should be the starting point of your visit. It is one of the biggest medieval squares in the world and has an unmistakable peculiar shell-shape. Make your way to the top of the square to find Fonte Gaia, its one of the most beautiful fountains in Siena. Unfortunately, it is a copy but you can see the original at the Museum complex of Santa Maria della Scala. Head to Torre del Mangia for a bit of exercise and breathtaking views. Once you’ve climbed the 400 stairs you will be presented with views of Piazza del Campo, Cathedral and the distant hills of Tuscany. Climbing stairs certainly makes me hungry and there are lots of restaurants to choose from but I find the best places are the little hole in the wall types. Look no further than La Piccola Ciaccineria it’s a great little pizza place. There are no seats so you will need to find somewhere to perch but for the price and quality, I have no complaints. Don’t be disappointed like we were and make sure you book in advance! All the websites, email address and phone numbers are included below to make the booking process super easy. 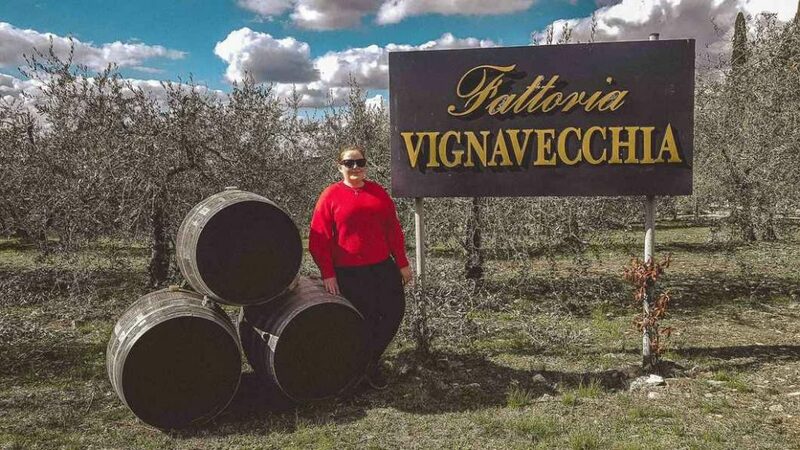 Only a short walk from town is Vignavecchia winery. 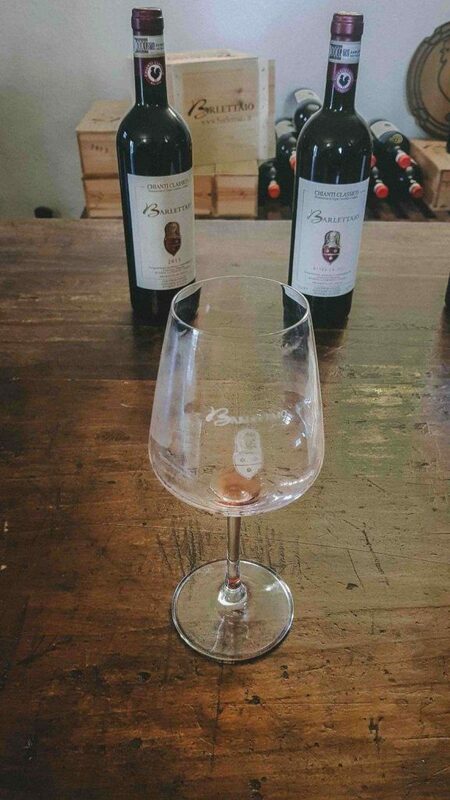 It’s a winery that has been run by the Beccari family since the 1870’s producing a number of well-made red, white and rosato wines. Winery in a castle anyone? A short drive away from Radda is the town of Volpaia. The village was built in the 11th century and most of the original architecture is still intact. 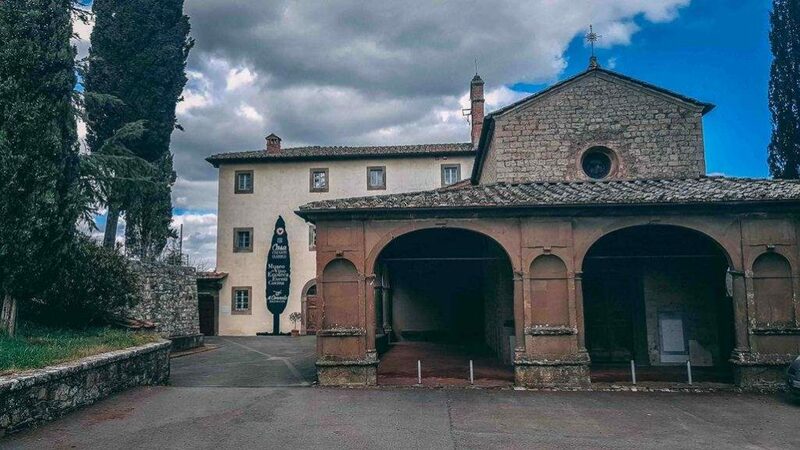 The winery produces several highly-regarded Chianti, Chianti Riserva and Super-Tuscan wines and the whole village seem to be involved in the production! Reservations are required to tour the cellar and/or taste wines. The price for this is 16 euros If you miss booking a tour then there is a restaurant plus it comes with a terrace on the castle walls. Azienda Agricola Il Barlettaio is a local winery run in Radda run by the Minacci family. The winery is known for producing classic Chianti wine and produce a small number of bottles each year. Just outside the shops is some picnic tables where it is the perfect place to enjoy a glass of wine overlooking the stunning landscape of Tuscany. Castello di Albola is a drive away from Radda, whilst close the winding Tuscan roads will take you a little time to get there. It’s the highest vineyard in the Chianti Classico region with elevations from 1,150 to over 2,000ft above sea level. It’s beautiful estate that you can immerse yourself in Chianti Classico. The winery has been established since the 11th century and then bought by the Zonin Family in 1979. The family are passionate, dedicated and engaging winemakers. The estate upholds old practices of winemaking since it was opened. Try their Albola wines, including their awarded Chianti Classico and Classico Riserva. 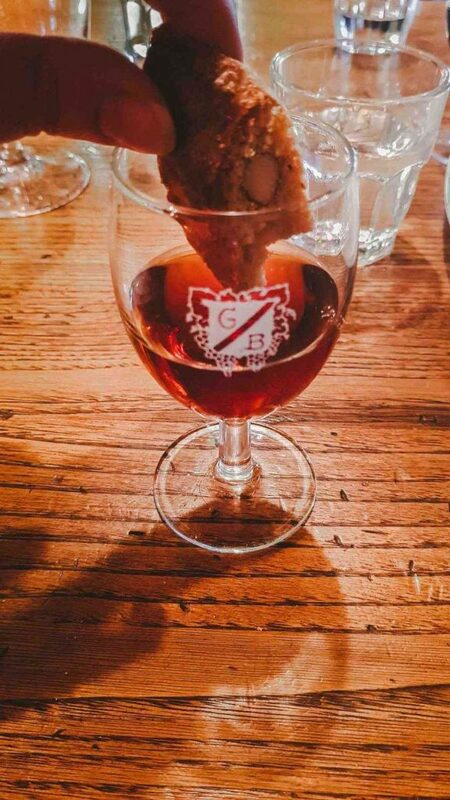 They also make an 8year old Vin Santo which means you can totally have Biscotti di Prato! The tour and wine tasting is 15 euros. On the east hill of the village you will find Castello di Radda. It’s one of the newer wineries in the area and produces Chianti Classico with 100% Sangiovese grape. The Beretta family bought the winery in 2003 to expand in their winemaking. As an already establish sparkling winemaker through their other business Lo Sparviere which produces the precious Franciacorta sparkling wines. A short 5 minute walk outside the main centre of the town, down the hill and cannot be missed on your trip to the region. The winery is set inside an old convent and is just magical. On a chilly evening you can warm up with the roasting fire but in the summer they have tables in the courtyard which will be an enchanting setting. A very friendly welcoming staff and superb food and wine. P.s. no beer is served here, just their fantastic wine. Our first meal in Radda was at Bar Dante. The staff were so welcoming the minute we walked in the door. After an extremely hard time trying to decide on the amazing selection of food we opted for something simple and went with the cheese board and wine pairing. 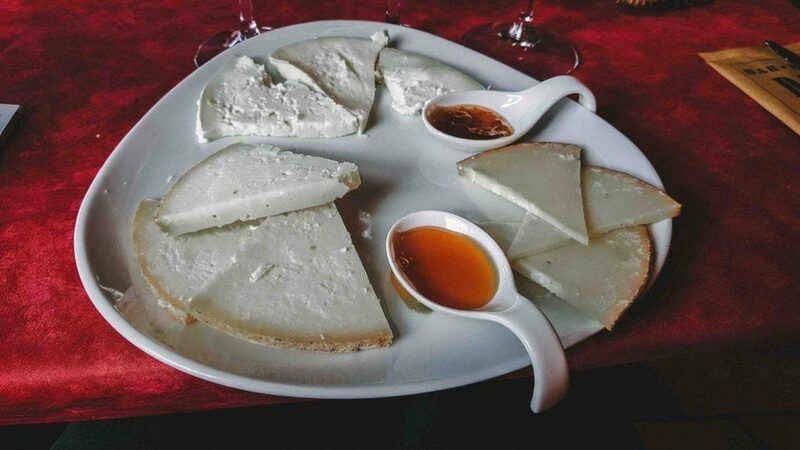 A great introduction to Chianti wine and the cheese was delicious. We stopped here for dinner one night and the food was exceptional. Starting off with olive oil served with bread was particularly outstanding. I couldn’t get enough of it (mainly the olive oil). We then moved into pasta courses which again were incredible. My only disappointment was when my dish of ravioli arrived it only came with 5 pieces but this happens with this type of dish. 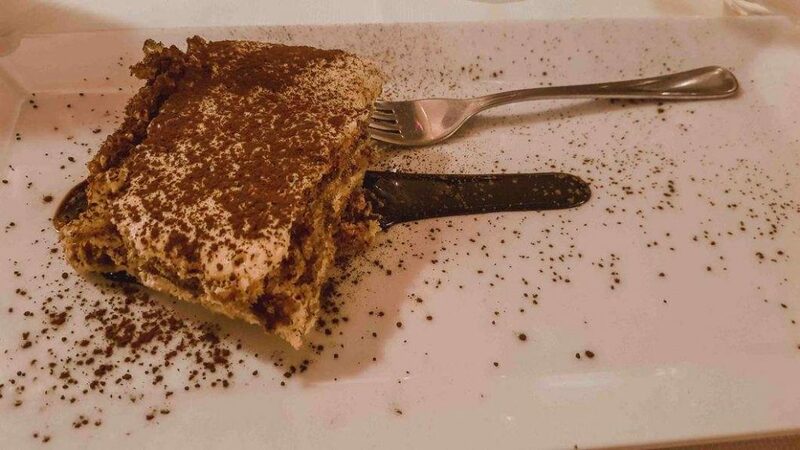 To top off the food we got tiramisu. The waiters did struggle to speak English but having a little Italian behind us we were fine. Good, authentic Tuscan food, excellent wine bar and really lovely staff. When I told them it was my boyfriends birthday they surprised us Cantuccini with Vin Santo. It was the first time I have ever tried this and now I think is now the best thing in the world. Perfect place to grab coffee and breakfast. Walk up to the bar, place your order, find a seat and enjoy the buzz of the local doing the same thing around you. When wine and good Italian wine is involved any time of the year is perfect for a visit. Of course there will be times of year that suit other more. Summer is perfect for the sun-worshippers as you will enjoy 30-degree weather. Prefer fewer crowds and milder temperature then Autumn and spring will be the perfect time with the temperature around 15c to 25c. The winters do get chilly being surrounded by the mountain which means that there will be snow. If you love winter then these are the best months for you. As the town is small there is a limited amount of hotels and price ranges to choose from but there are enough options to suit most people budgets. Airbnb is also another option for the area. We stayed at the Palazzo Leopoldo during our time in Radda. Located in the middle of town the hotel is walking distance to the restaurants and local wineries. Plus any hotels have Scenic views especially of the Tuscan landscape is a winner. The rooms are spacious with lush bathrooms and stunning views. The hotel offers an indoor pool and hot tub in the cellar, beneath the vaulted brick ceilings. General amenities are offered like free Wi-Fi and there is free parking in the town. The staff were super friendly and knowledgeable about the area so if you have any questions about the area don’t forget to ask. In the rooms you will also find a folder detailing things to do in the area. Palazzo San Niccolo is the sister hotel of Palazzo Leopoldo and located just across the road. Similar style as Leopoldo tastefully decorated rooms, spacious, clean, with modern finishing, the bathroom are spacious and beautifully decorated. For our trip we flew in Pisa and drove to Radda from there. It’s a cheaper destination to fly into and it’s only a 2-hour drive away. Florence is slightly closer to Radda and only an hours drive. Driving is the best option to get to Radda, there are buses but not very frequent. I highly recommend getting a GPS for your journey if you decide to drive. From Florence you will need to take SITA 365A to Lucarelli (64 bus stops btw!) and swap to the Siena line S101 which will go first to Radda. From Siena you will take the bus 125. The parking in Radda is either around the city wall or on the main street. There is limited parking available but there will be both free and paid. Just look out for the white lined parking areas to score the free parking. The areas that have a blue outline will be the paid sections.